Howard C. Serkin received his B.S. in engineering from Georgia Tech in 1967. Upon graduation, he served a four-year tour of active duty as a Lieutenant in the U. S. Navy assigned to nuclear submarines and deep submergence rescue and salvage projects. He also earned his Masters of Science in engineering and in 1974, received his Masters in Business Administration in finance from Harvard Business School. He has pursued post-graduate studies at Oxford University, Cambridge University, and the London School of Economics. Mr. Serkin served in various senior management positions with The Charter Company between 1974 and 1986. Charter was a New York Stock Exchange conglomerate with revenues in excess of $5 billion and operations in insurance, energy and communications. Prior to April 1984, he was executive vice president of Charter’s Insurance Division. In April 1984, Charter filed Chapter 11 and Charter’s Board asked him to leave the insurance operation, which was to be sold and assume the position of executive vice president and chief financial officer of the parent company. In this capacity, he arranged over $400 million of new financing and assisted in the development of the plan of reorganization. 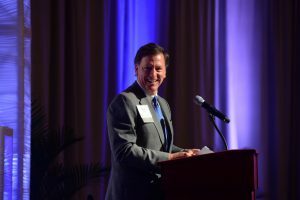 Charter successfully emerged from bankruptcy in early 1987 and he began a one-year assignment as the first executive-in-residence and visiting professor at the University of North Florida’s College of Business Administration. In August 1988, Mr. Serkin completed the acquisition and recapitalization of Environmental Recovery Group and currently serves as its financial adviser and a major shareholder. Environmental Recovery Group is a privately owned environmental remediation company serving the southeastern U. S. market. In July 1991, Koger Properties’ Board asked him to assume the positions of executive vice president and director. Koger Properties was a NYSE listed developer, owner and manager of over 13 million square feet of suburban office buildings and parks located throughout the southeast. In September 1991, Koger filed Chapter 11 and Mr. Serkin directed the development of Koger’s plan of reorganization. Koger successfully emerged from bankruptcy in December 1993.